Slogans are a big part of getting the message of recycling out to the the public at large. Successful slogans are those that stick with you and inspire you to do your part to improve the environment. It's important to recognize that recycling isn't a "single issue" platform, and there are a lot of different things that recycling slogans should take into account. It should go without saying that a recycling slogan should be catchy and should get right to the point. 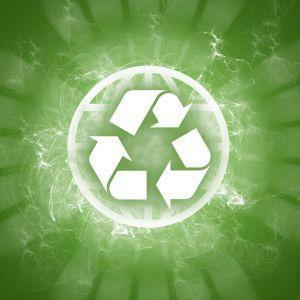 There are many different types of recycling slogans that you can use to draw attention to various recycling issues. Slogans can also be poignant sayings. The point is to use something that will stick in someone's head for hours after they hear it. General slogans are not as applicable to specific issues, but can be a great way to get your message across when the greater issue of recycling as a whole. Plastic is one of the most pervasive threats to wild habitat in the world. There are quite a lot of slogans out there that draw attention to the issue of plastics and recycling. Recycling is only one side of the coin when it comes to protecting resources and the environment. While it is very important to recycle, it is just as important to encourage using less in the first place. The cycle of waste continues - only until you decide to no longer engage in it. Waste is is nothing but a byproduct of excessiveness. When making purchases, never forget to ask "Will I still be using this in ten years?" 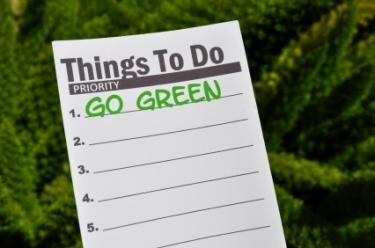 Go Green slogans can also get your Earth-friendly message out. Slogans don't always have to be read off of some billboard or from a website. People are often surprised at how skillful they are at crafting their own slogans. There are a few specific things that you should keep in mind if you are trying to come up with a great slogan. Make it short: Slogans aren't supposed to be informationally dense. They're just supposed to get your general idea out. Make it direct: It's also important to remember that you shouldn't beat around the bush with your slogan. Don't use overly fuzzy language or obscure analogies. Keep it catchy: You want to make sure that your slogan is still in someone's head hours later. The goal is to create something short and catchy that will stick with someone throughout the day. The point of a slogan is to get people to at least understand what your message is. No one intelligent is actually convinced by slogans. However, they can help motivate people to look up information on what the slogan is referring to when they get home. In the age of information, there are few things that are as important as motivating people to learn more about the world around them.